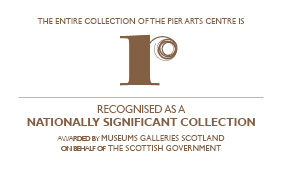 The Pier Arts Centre is currently hosting an artist’s residency as part of the Royal Scottish Academy Residencies for Scotland programme. Scottish artist Anneli Holmstrom is spending two months in Stromness developing a series of new work. Anneli will give a presentation about her work at the Pier Arts Centre at 7.30pm on Wednesday 19 August. Admission is free and no booking is required. The Royal Scottish Academy of Art & Architecture is an independently funded institution whose purpose is to promote and support the visual arts in Scotland. This programme is administered and funded by the RSA, with kind support from the Friends of the RSA and The Barns-Graham Charitable Trust.